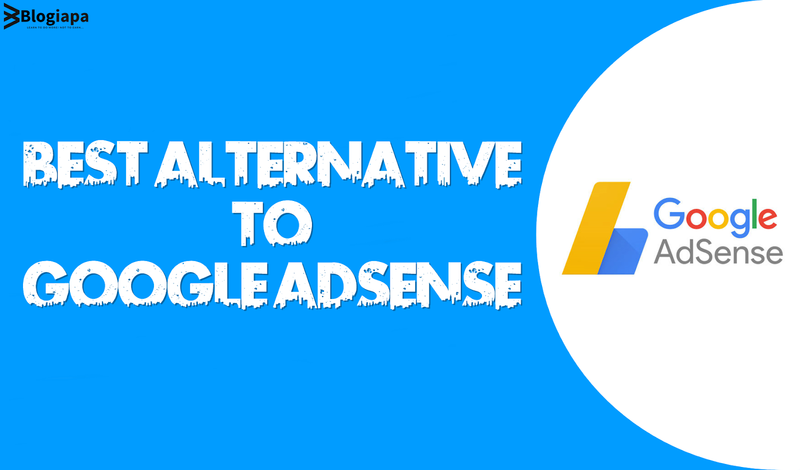 There can be many reasons why you might be looking for Google AdSense alternatives in 2019! Salaam beautiful friends, Recently I wrote an article on Extendable Bluetooth Controller Gamepad For PUBG! And Now I'm going to post regarding Alternative to Google AdSense. Visit this link & Get the latest updates in your mailbox. You can also connect with us on Facebook & Twitter. Well, whatever the reason, we have some of the most reliable Google AdSense alternatives narrated descriptively for your convenience. Here we share our thoughts and experience about those alternative ad networks, we mention above! Media.net is considered to be one of the leading Advertising tech company. It has 800+ employees focused on developing innovative ways of increasing the publisher’s revenue. It runs the second-largest contextual Ads program across the globe. Media.net is Yahoo! Powered ad network, it places contextual ads relevant to your content. The ads placed in your content are elegant and beautiful which help in swelling up click-through rates. You can even optimize every impression on your website with a single ad tag. Media.net allows $100 minimum threshold and incorporates wire transfer or Paypal method. Want to how to drive organic website traffic from Instagram? Read Recommended Article! Recommended Article: 7 Ways to Drive Organic Website Traffic from Instagram? Unlike Google AdSense, it’s very easy to get approved on Infolinks and they are always working on bringing in new ideas that the publishers can benefit from and increase their revenue. Infolinks does not require any ad space on your blog as it converts some of the keywords from within your content and converts them into links. An Ad is displayed, when a reader hovers over the link, and you gain revenue. Infolinks offer In-fold, In-tag, In-text and In-frame ads and are a CPM and CPC advertising network. So you have complete control over what type of ads you want to post in your content. You can withdraw your revenue after 45 days once you have reached your required threshold that is $50 for ACH and $100 for wire transfer/Western Union. AdMaven is constantly building an engine which yields an increased revenue for advertisers to get high performance and vast distribution for their ad budgets. Ad-Maven is best known for Pop-under advertising but apart from this they also offer quite a large number of other monetization methods such as NewTabs, Slider, interstitial, Banners, PopUp, and much more. It also enables you to maximize your revenue and get high CPM rates for your complete inventory. It can bypass all ad-block extensions and increase your revenue by 25%. Ad Maven accepts worldwide traffic and all types of websites. Ad-Maven has an automated payout system of minimum $50 threshold. The transactions can happen through Paypal, wire transfer, and Payoneer. Smart advertising for your website, with no commitments, contracts, or craziness. Chitika allows publishers to monetize their web traffic - no matter the size of their website or the volume of their traffic. Just like Google AdSense Chikita operates under Cost Per Click (CPC) strategy. It places ads relevant to your site’s content that helps you to get more clicks. You can also customize your ads according to your preferences for maximum clicks. The best thing about Chikita is that you can run it alongside AdSense Like I said in the beginning; more money in your pockets. You can also utilize the affiliate program which you can use for extra earning by referring new members. It also allows you to customize your ads so that it collaborates with your website. Chikita payout is $50 minimum via check and $10 via Paypal. Qadabra is a 100% self-serve ad platform, enabling websites & blogs in every geographic location to monetize their traffic with display ads. The best thing about Qadabra is that you don’t need to wait for approval. It’s a great platform for newbies and for sites that have low traffic. If you are a beginner Qadabra is just the right choice for you. This Ad network has a professional team that collaborates with advertisers to solve the complexities for better speak to their visitors. They provide innovative solutions to your problems so that you can have maximum revenue, you also get rich media ads which increase the CTR further increasing your revenue. With Qadabra you can choose categories for your ad units, this helps you exclude ads from categories on which you don’t want to show ads. They also optimize your site to give the best performing ads as well as provide ads that are in regional languages if needed for better results. It's easy and free to join - Get up and running today. Just one approval to join - no third-party advertiser approvals. Choose from over a million products to advertise to your customers. Whether you are a large network, content site or blogger, they have simple linking tools to meet your advertising needs and help you monetize your web site. Everyone knows Amazon, it’s one of the biggest online markets that deal with almost every kind of products. If your blog post promotes relevant products for instance if you promote mobile phones, drones, 3d pens or anything you name it then Amazon Affiliates is the ad network for you. The most amazing thing about Amazon affiliates is that they give you a commission on everything they sell from your links. So yeah if your website is about products and you have some genuine traffic who click on your Amazon links that you have provided and make a purchase, you get a small commission on the purchase that has been made. For instance, if you manage to sell a $1500 drone you might receive a $100 commission. The fun part is that it won’t even count if they buy your recommended product, any purchase made through your link generates a commission. Another plus is that Amazon Affiliates can be used alongside Google AdSense. You can use contextual linking to get more clicks, use your affiliate link within your content at prominent places so that your readers are forced to check the link. Promote your product as this assures purchases from readers and more commission for you. You can also offer discounts and promote special events by offering discounts, coupons, and other techniques, this will get you not only capture your reader’s attention but again you, genuine buyers, as well. Amazon Affiliates use Amazon Gift cards and checks as a payout method. You can threshold $10 with a gift card and $100 with a check. Does your page have 50,000k page views? If yes, then get ready to have a great CTR that works with several languages. Their approval is fast but it is recommended that you fulfill their requirements before applying as a publisher. It utilizes a Geo-targeting option that helps the publisher to get the right amount of the ads and makes the advertisers pay the right amount for their advertisements. Although Adversal is best known for its Pop-under ads you can have a wide variety of Ads such as Wide Skyscraper, Ministitial, Banner, Leaderboard, Pop-under, and a few other categories. You will get paid for every raw impression, not per visitor which means more revenue. It uses codes that ensure that your Pop-under ads are not blocked and you get paid for every ad. Propeller Ads, a CPM ad network pays you for every 1000 Ad impressions that you get; which means that even if readers do not click on your ads, you still get paid. Isn’t that awesome!! PropellerAds Media was set up in 2011 and has developed by leaps and bounds in a short period and has become one of the biggest CPM Ad networks. They collaborate with the following niche: software, gambling, dating, videos/movies, entertainment and much more. If your website has one of this niche, set up your account and start monetizing your website, there are huge chances that you will make more revenue with propeller Ads then you do with AdSense that is if you utilize it properly. PropellerAds Media has banners but the pop-unders work a lot better. The ads are mobile friendly if you have mobile traffic for your site. Minimum payout through Paypal is $50, Payoneer is $100, for wire transfer they have $500. Skimlinks Ad Network is a content monetization platform for online publishers (including editorial sites, forums, bloggers, social networks, and app developers) that specializes in in-text, contextual advertising. Skimlinks is easy to use an ad network, you simply have to insert affiliate tagged links into your site and you will earn a small commission every time any purchases are made through your referral link. With skimlink, you can keep track of any link that isn’t monetized so that you can make money from the code referrals that you make. The major benefit of having a skimlink affiliate ad network membership is that with a threshold of only $10 you can collect your payment. VigLink Ad Network is a San Francisco-based, outbound-traffic monetization service for publishers, forums, and bloggers. VigLink specializes in in-text advertising and marketing. VigLink CEO Oliver Roup founded the company in March 2009. It helps increase your revenue automatically by converting Key Phrases and already existing affiliate links. There are over 32,000 thousand affiliate merchants supported on VigLink and you can get between 25% and 50% of all the revenue that is generated from clicks on links that operate under VigLink. Just like SkimLink it takes your regular links to products and converts them to links that generate commission if a purchase is made. You can easily share the link on social media and increase not just traffic to your site but increase your revenue as well. It also creates keyword phrases within your content and makes them affiliate links to products. It works great for sites that discuss products. It doesn’t matter if you do not have outbound links, Viglinks mechanically adds a link to words that are related to certain money-related terms of products. VigLinks and Skimlink both have $10 as the minimum payout. ADVERTISE HERE: We review your first 3 products/services for free. With these Google AdSense Alternatives, you can generate more than you are generating with a single Ad network.